A recent “All Things Considered”  program on NPR, written by Ashley Gross and Jon Marcus, summarizes the current skilled job situation in the US by saying that, “Some 30 million jobs in the United States that pay an average of $55,000 per year don't require bachelor's degrees.” The number of people available to fill those jobs is low because the education system is behind the curve and the economy is growing. This was followed by the backlash of the parents who had the “not” kids and the new “prepare everyone for college” movement was started on the claim that everyone could be prepared for a college education. Parents pushed their children and the system to get ready for college. Many, like my mom and dad, said, “You are going to college-period.” In light of those admonishments, shop class and vocational tech subjects died a slow death in the schools across the country. Skilled crafts jobs also were relegated to the back burner where many became jobs of last resort. 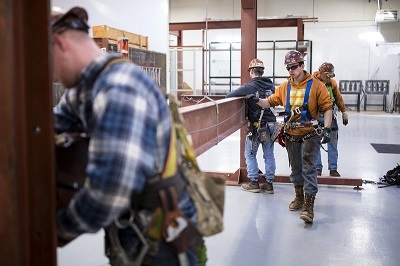 According to the Associated General Contractors, 70% of all construction firms are looking for skilled craft workers. Many states, like Washington, Michigan, and Tennessee are catching up by offering a number of ways for high school students and adults to find a path to those high paying skilled jobs. Tennessee is the first state in the nation to offer free community college tuition and fees through programs like Tennessee Promise and Tennessee Reconnect . No doubt that there is a shortage of skilled workers in our industry. At current rates of unemployment, you can expect to pay or receive higher wages and even hiring bonuses in some parts of the country as the Vo-Tech education struggles to re-establish itself as part of the mainstream of education in the country.